In addition to daily tutoring and activities, Cougar Zone offers shuttle service to transport your child to a convenient location after the program. 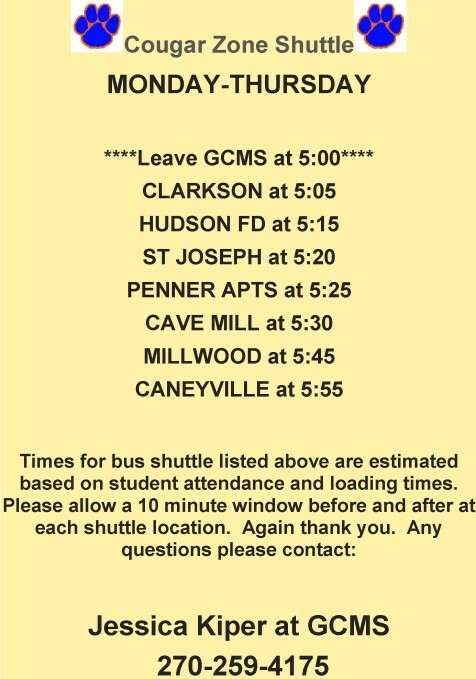 Times for bus shuttle listed above are estimated based on student attendance and loading times. Please allow a 10-minute window before and after at each shuttle location.